Hey y’all! I can’t express how much I appreciate your emails, your comments on my Blog posts, your questions on Facebook and Instagram. My greatest desire is to be a reliable resource for you as you contemplate and plan travel. Today, I’m exploring some of the questions I have received over the past few months about visiting Rome. Rome: Fact vs. Fiction! the “Big Sites” There’s Nothing More to See. Um….FICTION. Like, best-seller level Fiction. 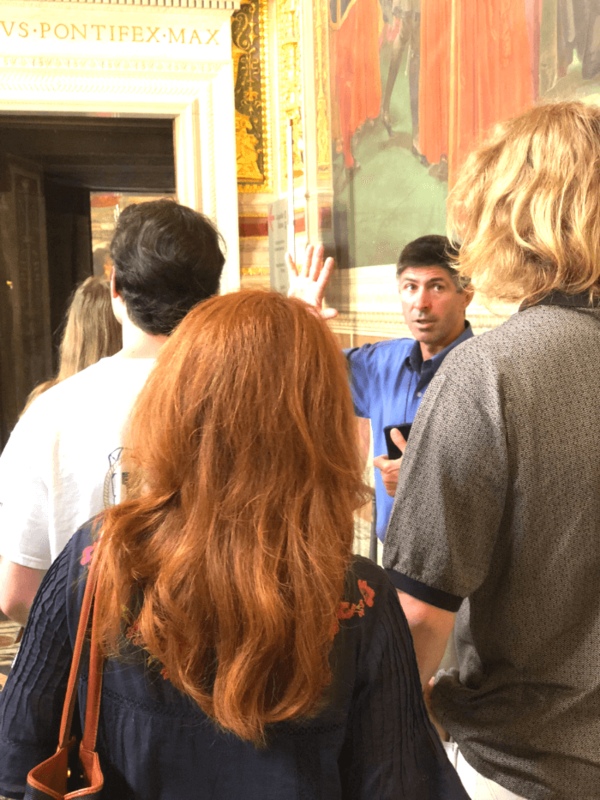 There’s a real reason why Rome is called the Eternal City, but for the sake of debunking this piece of Fiction, let me just say that the opportunities to learn something new at Rome’s most frequently visited sites are…wait for it….Eternal. Let me give you some examples. Last June, my husband I and took 3 of our 4 kids to Rome. 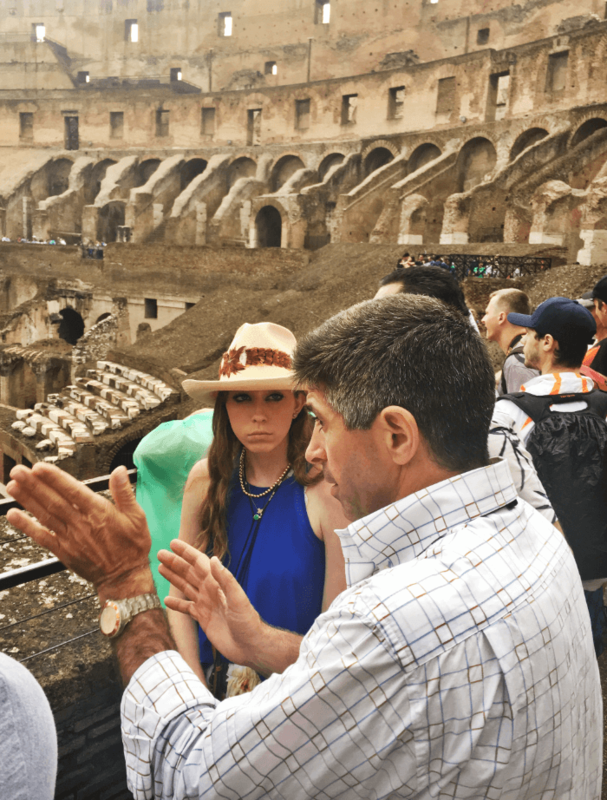 To read more about tips for taking teens to Italy, click here. None of them had been to Rome, so of course top of their list was The Colosseum. I’ve been a number of times, as had my husband. On this visit, I learned the most extraordinary thing. Of course, the “bleachers” were made of stone. Not many are left, because the Colosseum was used as a marble quarry at one time (how sad), but there are a few examples of original seats still there. The wealthy “season ticket holders” had assigned seats, and their name was carved into the marble for as long as they paid for that seat. 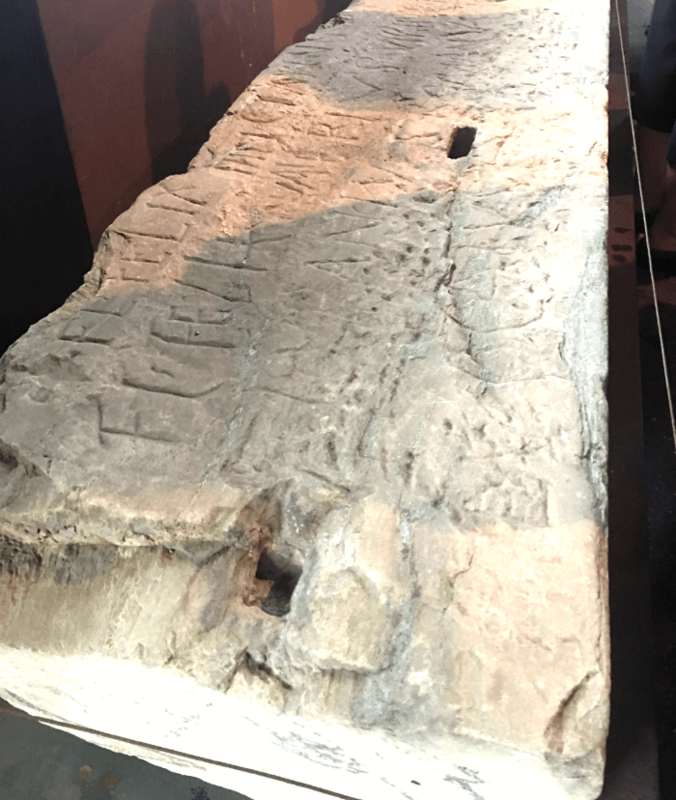 When a new “ticket holder” came along, the old name was simply chiseled away, and the new name was carved in the stone. Whaaaattt? Clearly, that’s such a cool piece of information that I learned on, like, my 10th, visit to the Colosseum. Another example: The Vatican Museum is huge, and it’s a time commitment to visit, for sure. 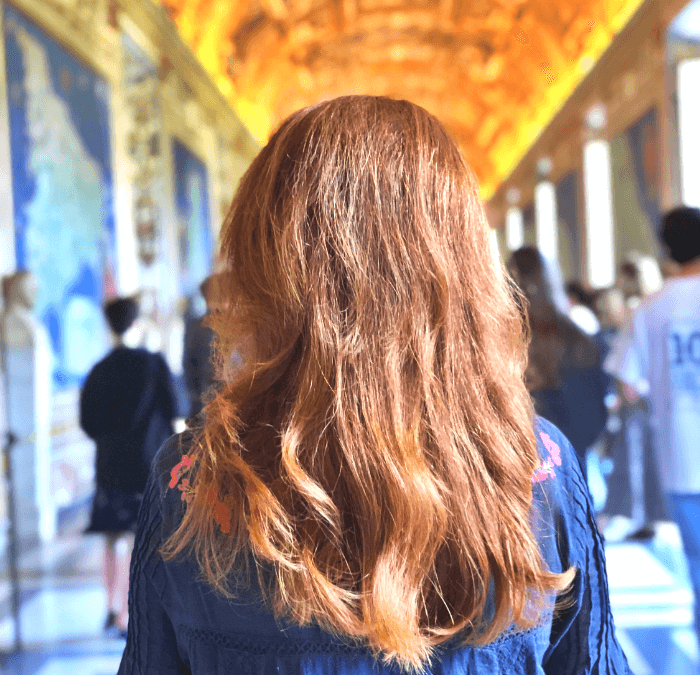 Unfortunately, most people see The Vatican Museum once, and the check it off their list. Not me. I go every single time I’m in Rome. What did I learn this time? Two amazing things. First, on display for the first time EVER, were plaster, metal, and straw studies of angles by Bernini. These studies came out of the basement (my word, not theirs) for visitors to enjoy. 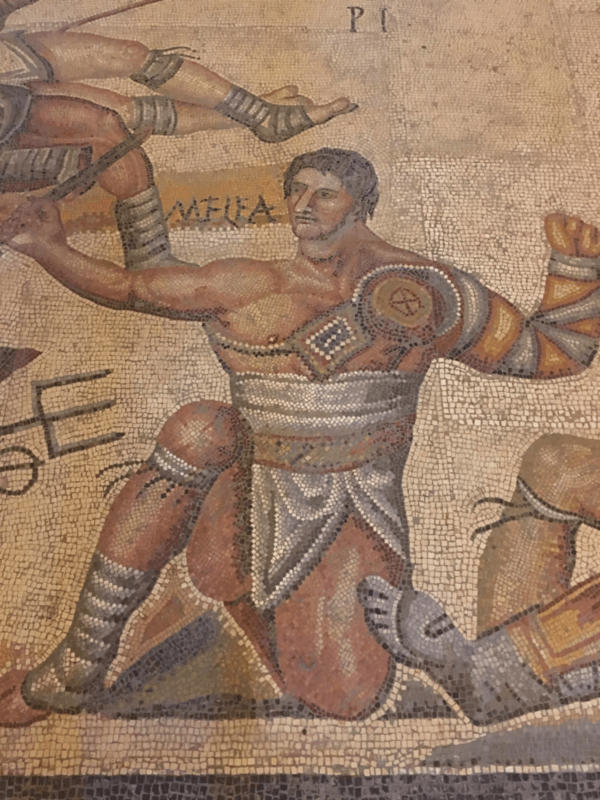 There’s a relatively new curator who sees value in brining out pieces from the Vatican’s HUGE collection that might not have ever been seen. I think it so interesting to see the steps an accomplished artist takes to plan out their final creations. And to see Bernini’s process….super cool. 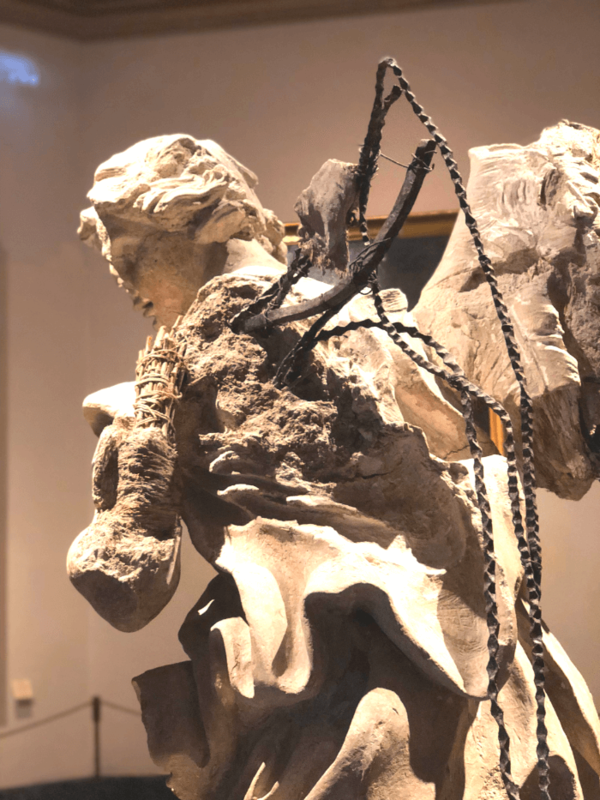 Here’s a post about places to see Bernini’s works throughout Rome. Second, did you know that the Pantheon used to have towers? I didn’t. I only know what all of us see when we visit Hadrian’s amazing rotunda. But…at one time, towers were added. 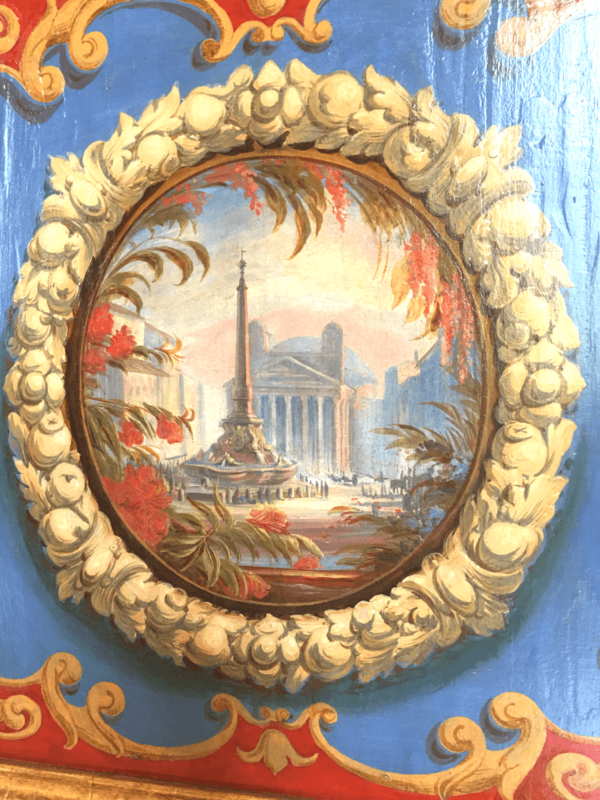 And one source of proof is a painted cabinet…one of many cabinets in a long hall in the Vatican Museum….that has an image of the Pantheon with towers. Of course, there’s been authenticating done beyond just this one image, clearly. But…..how COOL is that? Shockingly, (ha) learned this gem of info on my 8th or 9th visit to the Vatican Museum. Ok, so full disclosure….want to know how I really learned all these amazing tidbits? The only way I recommend seeing major sites…. 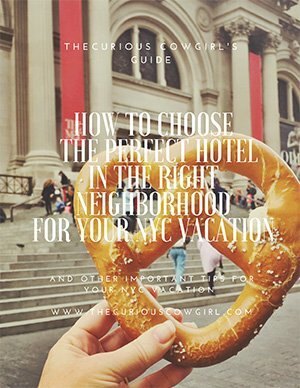 is with an excellent private guide. Absolutely, more than any other aspect of your trip you will spend money on, hiring an excellent private guide will absolutely transform your experience from OK or Good…to OUTSTANDING. Do I have a recommendation? Absolutely! Please email RGSCCReferral@gmail.com, and tell my friend Carlo you need him. He, and his fellow guides, are the very best in Rome. I have worked with them for YEARS, and have complete confidence that you will come away from a guided tour with Carlo, eternally (see what I did there) grateful you made that decision. 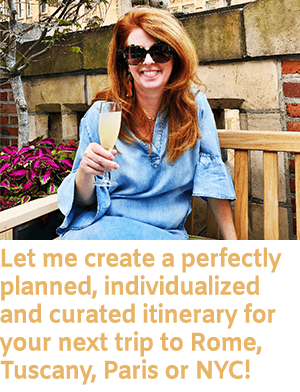 If you need help in planning the perfect trips, I do have One, Two, and Three Day Guides to Rome for sale in my shop. 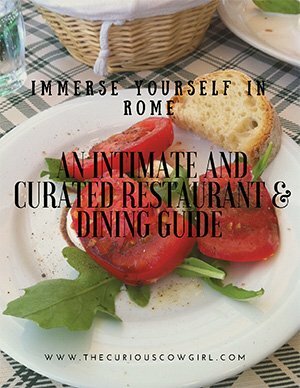 Happily, lots of readers have purchased and tell me they were VERY helpful in getting the most out of their trip to Rome! Always delighted to be a resource!!! Ciao, y’all!